Most of the people coming in spa & salons for relaxation and comfort, the ambiance and tone of decoration need to be warm & welcoming. But designing of spas & salons is very difficult. You have to take the concept in mind according to that you have to do an interior design which gives luxurious experience to clients. The first thing you have to take in mind while doing the interior of spas & salons is choosing an appropriate theme. Interior designer’s main focus is on floor space means adjusting all the things to their appropriate place. This shows a professional interior designer. Customer’s of spas and salons depends upon ambiance. Ambience creates a good atmosphere & which is helpful for your business. Kam’s Designer Zone is the best interior designer in Pune which will give you latest interior design ideas in your budget. We choose latest & unique design & furniture, accessories, colors, and technically advanced equipment which are small in size. While doing interior color combination plays an important role. When light reflects on the wall then it creates different ambiance. The spot light is preferred choice in spas and salons, on several occasions. The ceiling light is also another light arrangement. 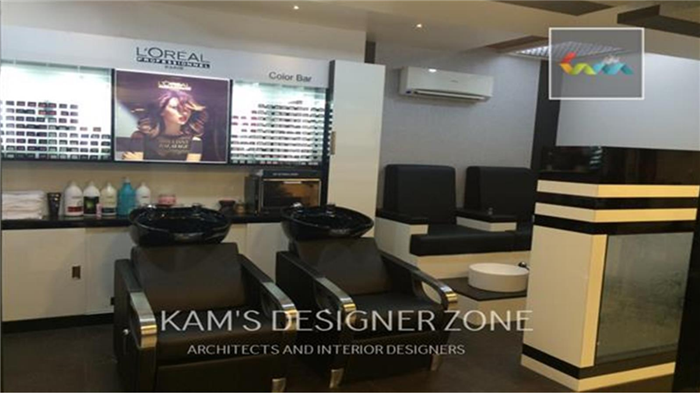 In salons, the mirror is very important & designer locates mirror in dual purpose means which reflects light and also images of the customer. Most of the people come in spas for relaxation, so you have to create a great ambiance which affects on customers experience. Furniture and tubs are comfort parameters. We work on many spas and salons projects; for more information, you can see our latest projects: http://www.kamsdesigner.com/Project/Commercial-Office-Interior-Designs-in-pune-4-1.html. For giving new look to your spas & salons contact with a best interior designer in Pune..